History runs deep in Savannah, and you can feel it throughout the city’s museums, art centers, and centuries-old cemeteries. Many of Savannah’s museums are within historical homes of well-known figures which makes for a unique up-close and personal experience. Even our aged, gated cemeteries have a certain mystique that exudes a dark drama of life and death—but you just can’t look away. The history of Savannah is told through her museums. 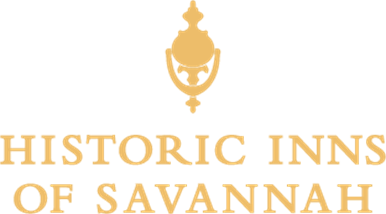 Learn about the first 35 families to arrive as the First Colonists of Georgia on February 12, 1733 at the Savannah History Museum. The history of the Central R.R. of Georgia, the longest continuous railroad in the world when completed in 1843, comes alive at the Georgia State Railroad Museum. And don't miss the oldest public art museum in the South, the Telfair Academy of Arts and Sciences, which opened its doors in 1886. The doors are open - come on in! These house museums offer a glimpse into life in 19th century Savannah. Don't worry if you can't choose -- the Davenport House, the first building saved by the Historic Savannah Foundation; the Owens-Thomas House with the only intact urban slave quarters in Savannah and open to the public; and the Andrew Low House where General Robert E. Lee stayed in April, 1870 -- we recommend them all! There can be little argument that cemeteries in Savannah, complete with stately Live Oak canopies and dripping Spanish Moss, are hauntingly beautiful. Each of these top three Savannah cemeteries has a personality of its own, and none will disappoint! The Colonial Park Cemetery, covering 6 acres in heart of the Historic District, opened in 1750 and is the final resting place of many of the earliest settlers. Bonaventure Cemetery was developed on the site of Bonaventure Plantation in 1846 and overlooks the Wilmington River. And don't miss Laurel Grove Cemetery, just west of the Historic District, which is divided into two sections. Laurel Grove North is the burial place for thousands of white Savannahians, more than 1500 Confederate Soldiers, and many notable persons from Savannah's history. The companion burial ground, Laurel Grove South, was reserved for slaves and free people of color.